Hawaii News Now Sunrise got to talk with Davianna Pomaikai McGregor and Christopher Kaliko Baker; Spokespersons for Protect Kahoolawe Ohana. PKO is celebrating 40 years of Aloha 'AAAina on Sunday, January 29 th , 2017, at Hawaiian Brian's in Honolulu from 5 PM - 10 PM. The celebration will include live music, ?ono food, a photo exhibit, silent auction raffles & door prizes, and more. Celebrating the first landing to stop the bombing of Kanaloa Kaho?olawe on January 4, 1976, the event will feature an exhibit that provides an exclusive look into the photo collection of Dr. Noa Emmett Aluli that spans the 40 years. 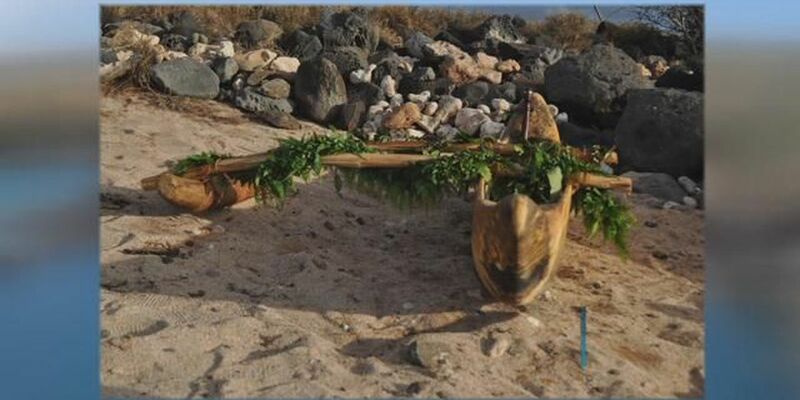 bombing of the sacred island of Kanaloa Kaho?olawe and restore its resources. Tickets can be acquired for a donation of $40 on-line at www.kahoolawe.org or in person from a member of the Protect Kaho?olawe Ohana. This is a contribution of $1.00 for every year of "aloha ?aina" for Kanaloa Kaho?olawe. This family friendly event is free for keiki 10 years and under, who are accompanied by an adult. safe and meaningful huaka?i (cultural service trips) to Kanaloa Kaho?olawe.